Seven people are dead and six others missing after a flash flood ripped through a town on the Utah-Arizona border Monday night, authorities said. At about 5 p.m., a wall of water smashed into two cars full of 16 women and children, washing the vehicles and people several hundred yards downstream, said Hildale assistant fire chief Kevin Barlow. As of Monday night, seven people are confirmed dead, with six others missing, he said. Three people survived. 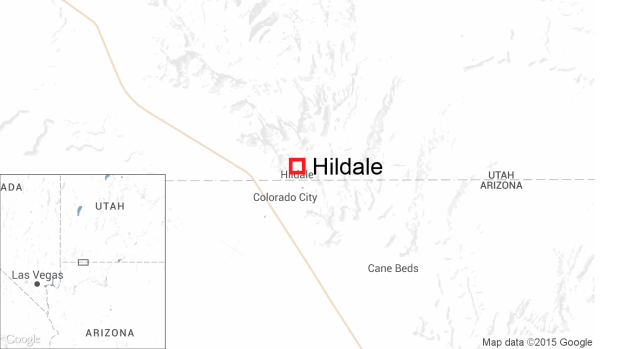 Search and rescue teams called off the search late into the evening due to treacherous conditions in the sister towns of Hildale, Utah and Colorado City, Arizona, he said. The floods came after heavy rains fell in the canyons just north towns, sending waves of water barreling through the streets of a community of 7,700 people that is the home base of a polygamous sect run by Warren Jeffs. The towns are about 315 miles south of Salt Lake City. The women and children were in two different cars, Barlow said: A full size van and an SUV. The flooding also caused other, less serious problems. He said several blocks of home are without power and water due to the flooding. Search and rescue teams are scheduled to resume efforts to find the missing people at daybreak.